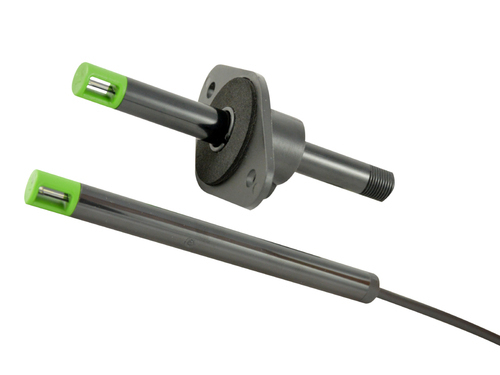 E671 is a compact air velocity probe for HVAC applications. The built-in flow sensing element VTQ combines the advantages of state-of-the-art E+E thin-film manufacturing and of the newest transfer molding technology.EE671 is available with fix installed cable or with plug connection. The measured air velocity up to 20 m/s (4000 ft/min) is available at voltage output 0 - 1 V, 0 - 5 V or 0 - 10 V or on the Modbus RTU interface.